A cryptocurrency achieving stablecoin functionality can not only have a wide-ranging impact on the cryptocurrency and digital currency ecosystem, but it can also have a positive impact on the broader financial system. Xank’s innovative Stable Pay feature allows Xank to be used as a stablecoin on a per-transaction basis; ‘on demand’ so to speak. This puts the Xank network in a prime position to serve as the cryptocurrency of choice the main digital asset user groups, namely; merchants, exchanges, businesses, individuals, and communities. In the next two posts, we explore how each of these user groups is set to benefit. Cryptocurrency exchanges provide their users the opportunity to buy crypto with fiat and to cash out of crypto back into fiat. 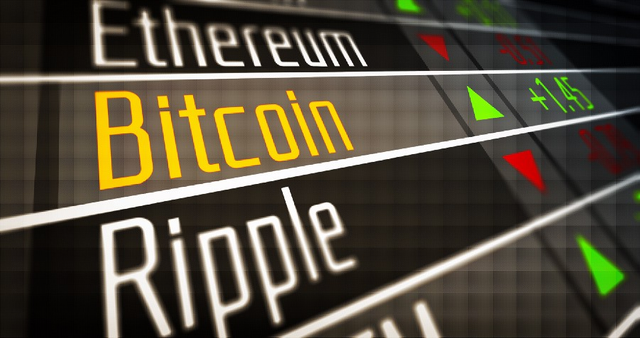 They also act as traditional exchanges offering their users the opportunity to trade currency pairs back and forth between various fiat currencies and digital assets. In fact, it could be argued that the emergence of such exchanges is what propelled cryptocurrency to reach new heights that were not possible in the pre-exchange era. Some of the more prominent exchanges now offer sophisticated digital asset trading and even leveraged trades. Exchange operators need to interface with the legacy financial system to provide fiat on-ramps and fiat off-ramps. They need to hold bank accounts to serve this function, and due to the irregular nature and volumes of the transactions they make, banks have placed stringent requirements on many exchanges. Many of these exchanges have faced upward battles holding such relationships with banks, and some have even had their bank accounts closed — often at a moment’s notice and with no explanation given — leaving them with interruptions to their services that has often led to customer dissatisfaction and even mistrust. It is also a requirement in most jurisdictions for exchanges to require their customers to be subject to regulations that apply to banks, such as Know Your Customer (KYC) and Anti Money Laundering (AML) legislation. This means that exchanges can no longer offer their customers the privacy protections that are inherent in cryptocurrency transactions, especially when their users deal in fiat. Having to deal with the legacy banking system also leaves exchanges exposed to exorbitant costs for low-value transactions, arbitrary currency conversion charges and even fraud exposure where crypto was purchased with credit-cards and where the payment was canceled and reversed even if the crypto was already sent. A lot of the friction that exchanges face when dealing with the legacy financial system can be alleviated by using Xank. This is mainly achieved by making use of Xank’s stablecoin functionality and thereby freeing up exchanges from having to use fiat rails as often as they currently do. In fact, with Xank, exchanges will be able to accept fiat denominated crypto payments without having to move any fiat altogether. They can accept fiat denominated deposits and withdrawals and use Xank for storing crypto in fiat denominated amounts. Furthermore, exchanges will be able to offer Xank stablecoin features to their users who will be able to move fiat-denominated amounts of crypto in and out of the exchange with very little friction. As no actual fiat is involved, certain privacy features can stay in place as exchanges usually offer higher movement limits for crypto-to-crypto movements of funds. Providing their customers the ability to hold larger fiat denominated amounts can attract more users to their platforms. As an added benefit, exchanges that use Xank can reduce their exposure to weak Proof-of-Work based coins that are subject to 51% double-spend attacks as Xank is based on a Proof-of-Stake algorithm. Denominating crypto in fiat terms can also have accounting, auditing and tax compliance advantages. With the correct use of cold storage wallets, exchanges can hold vast amounts of funds that never need to touch the legacy financial network — thereby minimizing their costs and risks associated with bank account closures. In fact, exchanges may even be able to migrate most of their services and also offer new innovative crypto only features such as more fiat-to-crypto trading pairs. In the early days of Bitcoin, there was a lot of enthusiastic merchant uptake — after all, what wasn’t there to like? 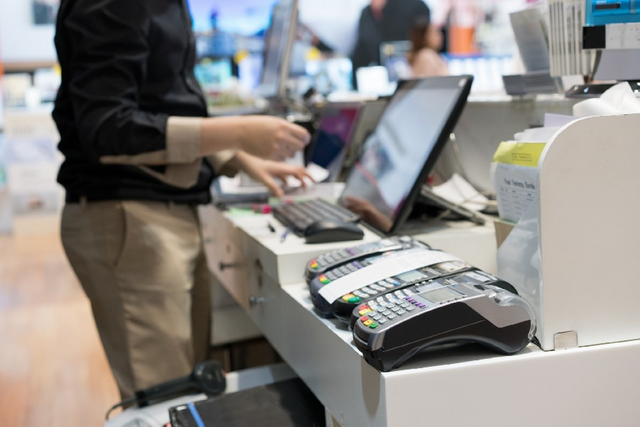 Transactions were costing a fraction of what merchants were used to paying in credit card processing fees, early merchant adopters often saw favorable movements in price when they held their takings in Bitcoin, merchants in countries that didn’t have access to the large credit card processing companies could finally take their wares to an international market and accept payments anonymously online — often for goods and services that may have been banned in other jurisdictions — along with other features that were unique to cryptocurrency transactions such as increased transactional privacy. These were encouraging signs! As time transpired, however, much of the initial enthusiasm eroded. Transactions costs started rising, even to the point of being outright expensive. Other merchants had issues with transaction confirmation times; some had issues with keeping up with wallet updates, security issues and more. Price volatility by far turned out to be the biggest deterrent to merchant adoption. Many were faced with losses when they went to convert their takings to fiat only to find that the price dropped and the crypto they received for sale was now worth less than the cost of the good or the service they provided. With Xank, the merchant can value their goods and services in fiat terms. Their customers benefit as they can value the merchant’s wares in familiar terms. The merchant can instruct the customer to use the Stable Pay feature. This assures that the merchant will retain the fiat value of the transaction through the transaction lifecycle, that is until they subsequently convert their Xank to fiat in a subsequent transaction to receive the amount of fiat they had set at the time of purchase. This could be at the end of the day, the week, the month or any time that is convenient for the merchant. Stable Pay also means that the transaction can be entered into their accounting software in fiat value which can also have positive implications for their tax reporting as it can reduce their tax compliance burden. With Stable Pay, merchants can avoid a most of the early adopter pitfalls. Further to Stable Pay, Xank also offers near-instant transaction confirmations as its masternode network is designed to handle Instant Pay and Private Pay; features that Xank inherited from the Dash network which it is a fork of. This means that merchants will be able to enjoy fast, private and fiat-stable transactions with Xank. Just by examining how Xank’s stablecoin functionality can make a positive impact on the way merchants and exchanges operate, it is clear to see how the cryptocurrency landscape can dramatically change. Xank is set to restore the early momentum that merchant adoption achieved, and it is also set to revolutionize the way exchanges operate and the services they can offer their customers. You can read more about the benefits that Xank can provide exchanges and merchants in the Whitepaper. In our next post, we will look at the benefits the Xank network can bestow on businesses and startups, communities, activist organizations, and individuals.